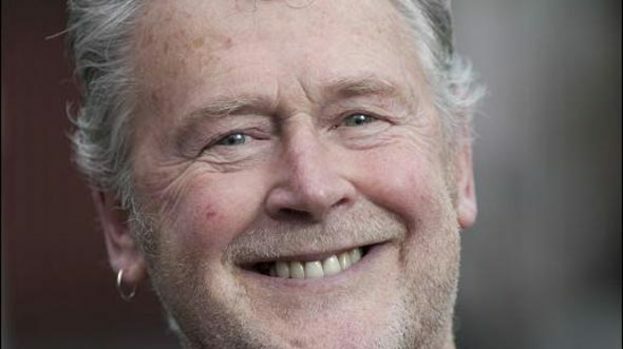 Actor, Writer, Director and Celtic supporter TONY ROPER kindly took time out of his busy schedule as ‘The Celts In Seville’ starts its second run at the Pavilion Theatre, Glasgow to talk about the play, his inspiration for writing it and why a little piece of his heart will forever be in Andalucia . . .
How soon after Seville did you first think – I could make a play out of this? How long did the writing stage take? Can’t remember exactly. A couple of month probably. With a few trial drafts before settling on a producible play that would stand a chance of people willing to spend their hard earned dosh to recoup the very sizeable outlay that’s needed to fund a production of that size. Are the McMahon family based on a particular family you know or different individuals? Different individuals. I always base any characters in my plays on real people. It helps the actors get a realistic grip on their portrayal. 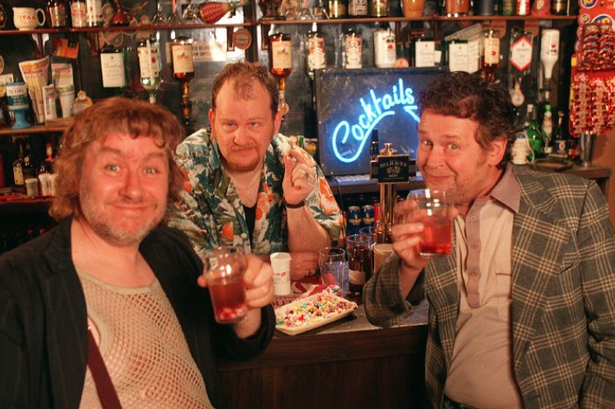 What was your favourite memory from the play’s first run back in 2008? The very last night. The surge of belonging to the Celtic diaspora that merged the cast and the audience was almost overwhelming. Every member of the cast said they had never had an experience to match it on a stage. I’ve said it before that the theatre almost levitated and I don’t believe that to be an overstatement. Rab Douglas – blameless or hopeless? Neither. I am not in the camp that lays the blame on big Rab. Having spoken to almost all of the team neither are they. He had more than a few great saves throughout the campaign, Hartson missed sitters, even Henky missed a penalty. ‘Let he without sin cast the first stone’ as they say. The final whistle blows at the end of extra time on 21st May 2003 – explain your emotions at that immediate moment? Along with all the other Celtic fans I stood and applauded a team that had given a thousand per cent. In the play there is that moment when the dream inexplicably turns on us and we are the runners up. Every night, with no cajoling from the cast the audience replicate that night in 2003 and stand up and applaud, not the production but the Celtic team and their effort. Which is very gratifying as that sense of pride in being a Celtic fan who could embrace the lows as well as the highs with pride and dignity was what inspired me to write the piece in the first place. 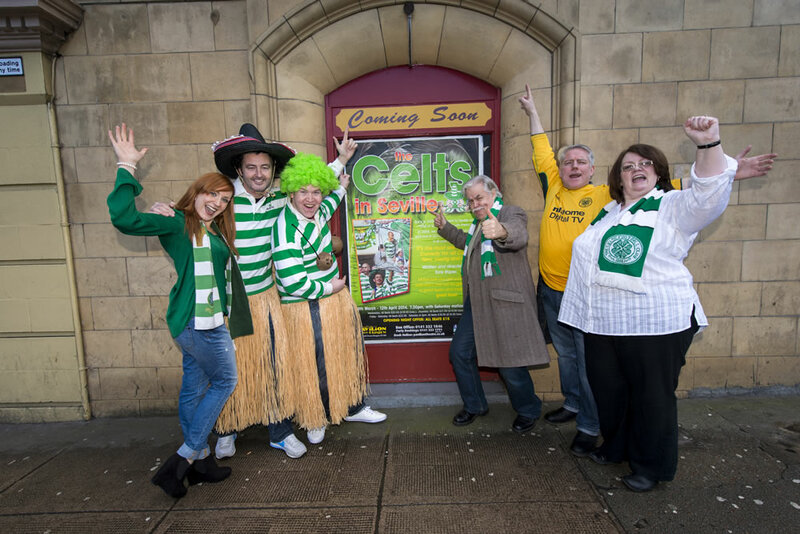 The Jimmy McGrory song used in the play – how did you come to know it? This was a song my father’s generation sang at parties in the house. 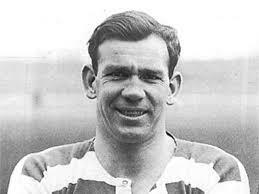 McGrory was the Larsson of his day and was the player who my old man measured all others against. 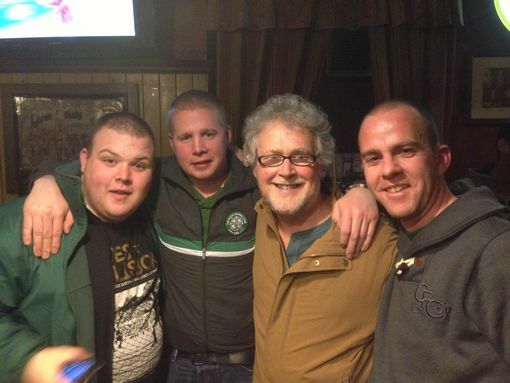 He signed the majority of the Lisbon Lions and if you speak to any of them they will all say the same thing. An absolute gent of a man and a giant of a player. I voted for him as the greatest ever Celt. If Derlei’s shot in the 115th minute had been stopped on the line and the game had gone to penalties . . .
b) Would you have survived? 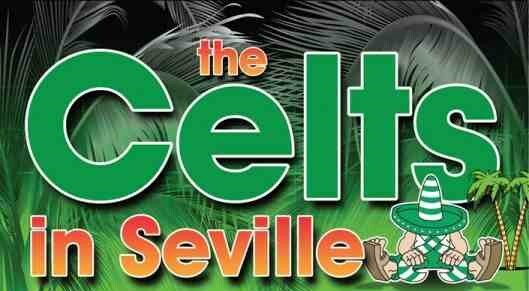 Yep and there would have been a very different end to The Celts in Seville. c) Who would have won the shoot-out? I think Rab Douglas would have won that contest as it did not involve diving around as if he had been shot, unlike the heid-case in the opposing goal. 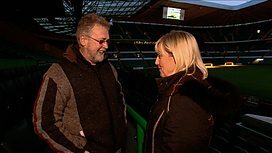 Are there any other episodes in Celtic history that you think would merit a play or even a film? And could you be tempted to write the script . . .
Yep. But I’ll keep them to myself. That way I can nick in and steal them from some genius in a pub. How long before you think Celtic will be back in a European final? I’ll never see that day. Money is Mammon in today’s competition and until that changes we’ll never see eleven guys from Glasgow do what Jock Stein’s lads did. That was when the competition was pure and not sullied. I count myself very lucky to have seen it. From the many years you’ve been watching Celtic, how does Henrik Larsson rate among the strikers seen? He could still hold down a first team place. He wasn’t just a striker. He was an all round consummate professional who could play anywhere. Celtic have been blessed with terrific strikers throughout the years, McBride, Lennox, McGrory, McClair, Dalglish, the list is endless. I think that Henky would fit in their company very nicely. What was your Seville story? After the game we wandered around for hours as there were no taxis and we had no idea where the hotel we were in was. It was about fifteen miles away on the motorway but we had no idea in which direction. A couple from Seville stopped us about three in the morning and asked if we wanted a lift. We showed them the hotel card and they took us back, with no question of payment. Of course we did give them an amount but that was not part of their offer. I always thought that the fans must have made a great impression to spark that sort of kindness in a foreign land. When will your play about Rangers in Manchester be ready – and how many extras will you be needing for the riot scenes?!? Thankfully that task will never fall to me. If enough succulent lamb can be conjured up I’m sure there will be some willing members of the press ready to turn fact into fiction. Did you ever find out what is the Portuguese translation for “dirty, cheating, diving bassas”? 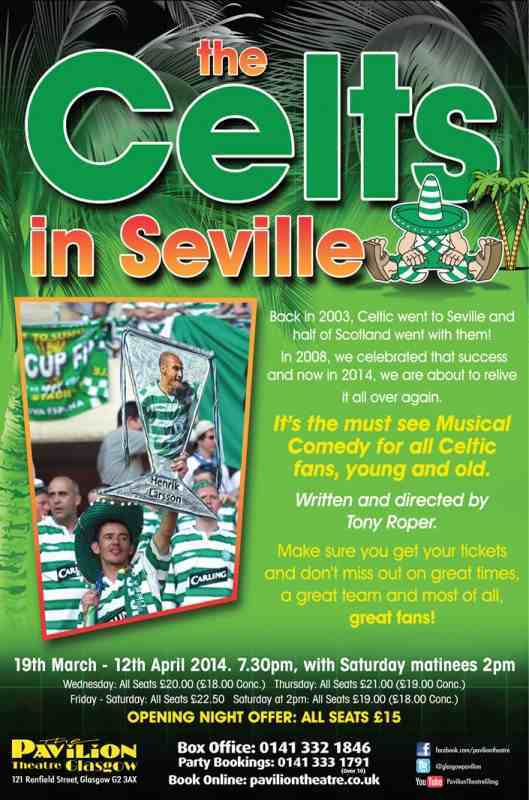 ‘The Celts In Seville’ runs until 12th April 2014 at the Pavilion Theatre, Glasgow.